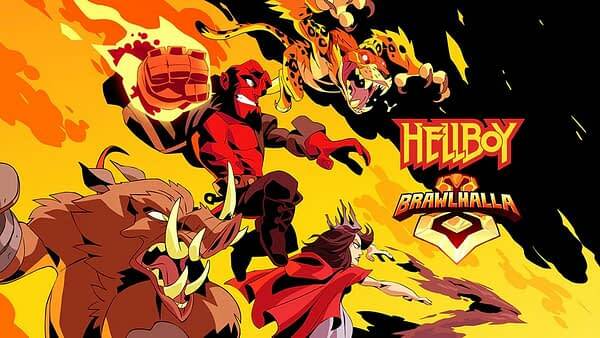 As part of the promotion for the new Hellboy film, Ubisoft has partnered with Lionsgate and Millennium Media to add Hellboy to Brawlhalla. Specifically, they’re adding in four new characters in the form of Hellboy, Nimue, Gruagach, and Ben Daimio, who you can all select in the free-to-play platformer. It’s hard to determine at the moment if these are all original additions to the game or if they’re basically just reskinning characters toy can already select, as some have pointed out it was the case when Shovel Knight was added to the game. The characters will be added to Brawlhalla sometime in April, although the actual date has not been revealed, we’re guessing it will be on or just before the movie comes out. Wanna See The Osiris Club from 'Hellboy' in a New Clip?